When searching for products and ideas to help me stay organized as well as prepare for guests, I wanted something that would prevent me from digging through the closet at the last minute searching for linens, pillows and other guest essentials. 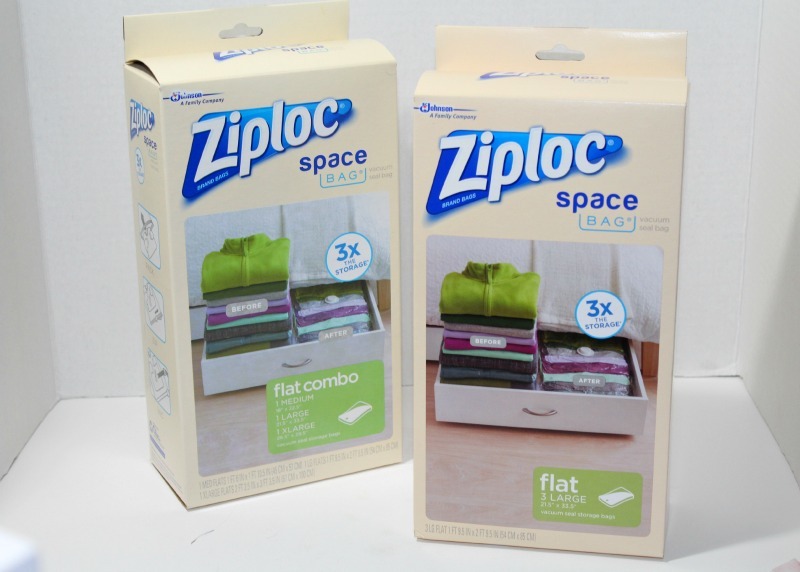 I headed to Lowe’s and picked up Ziploc® Space Bags® in several different sizes to ensure I can use them for all of my storage needs throughout my home. These bags provide 3 times the storage as compared to uncompressed storage volume, and they come in many different sizes. 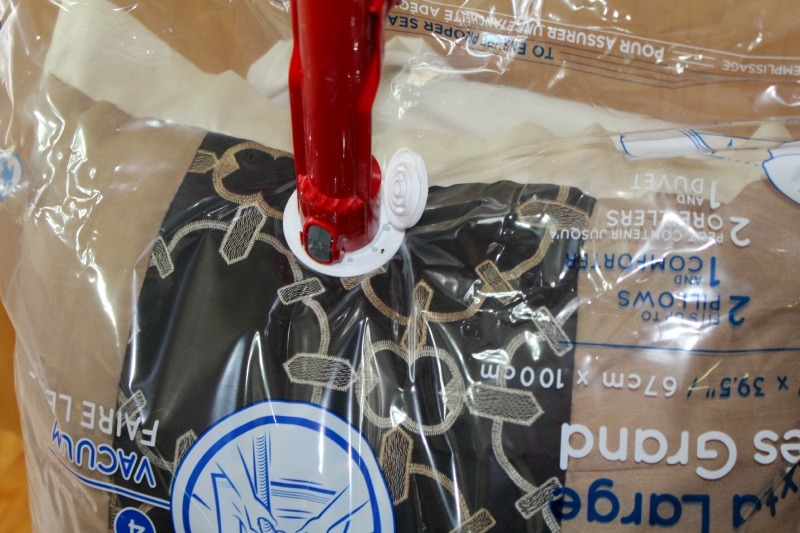 These Ziploc® Space Bags® are not only saving space but they are also waterproof, airtight, and reusable! 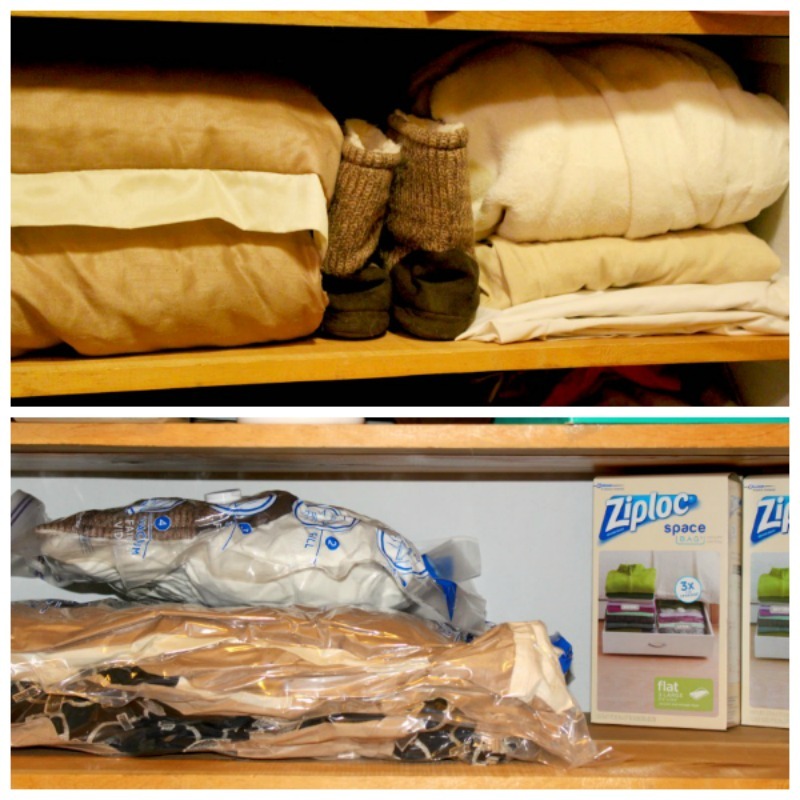 This makes it so easy to store all of my guest linens before and after they visit. When preparing for guests, I like to go above the typical blanket and pillow set up by offering a few more things to make them feel more welcome in my home. I offer my guests a comfy bedding set with a comforter, sheet set, pillow and some extras like slippers and a fluffy robe. Keeping all of these items together has never been easier thanks to Ziploc® Space Bag® products. I was truly blown away by how much space I was actually saving and how organized my home is even when preparing for guests. I love being able to just grab a bag out of the closet and everything is as fresh as the day I put it in there. The top photo shows all of the items I wanted to store for my guests. The bottom photo shows the same items on the same shelf but now with all of the extra room, I was able to add other things to the shelf while also having more space left over. 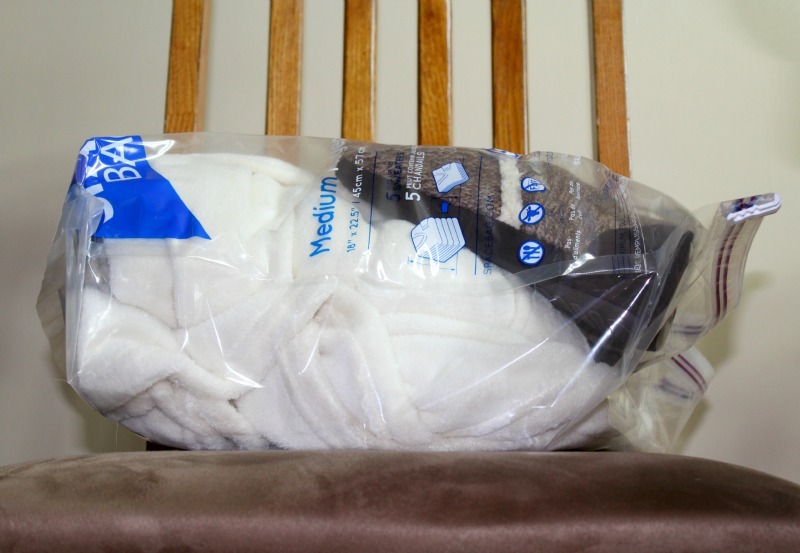 These bags are so easy to use and it is so much fun to watch my bulky items shrink down to a more manageable size. The first step is to fill your bag with all of the items you want to lend to your guests during their stay. 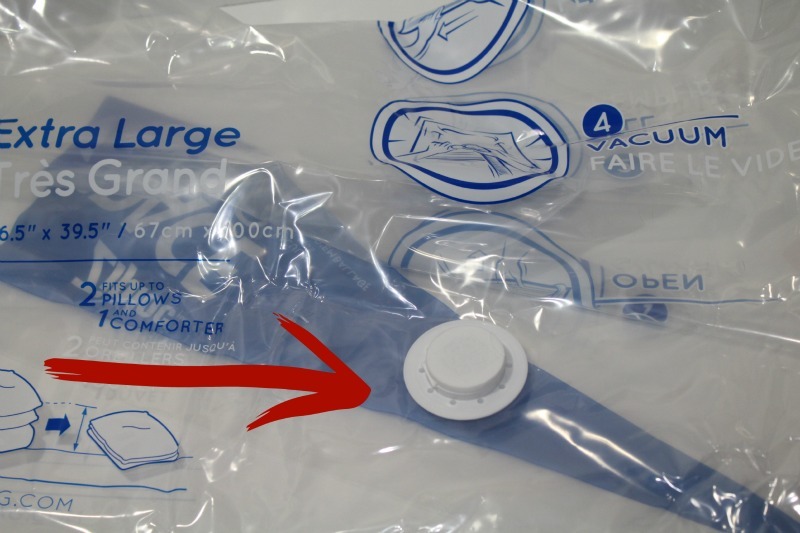 Zip up the top, locate the valve on the front, then vacuum the excess air right out. It may turn into a family event once everyone sees how these work, it was kind of like a science experiment for us and we were really amazed at the results. This is one of those things that you really need to see to believe so I attempted to capture the amazing results in a before and after picture. 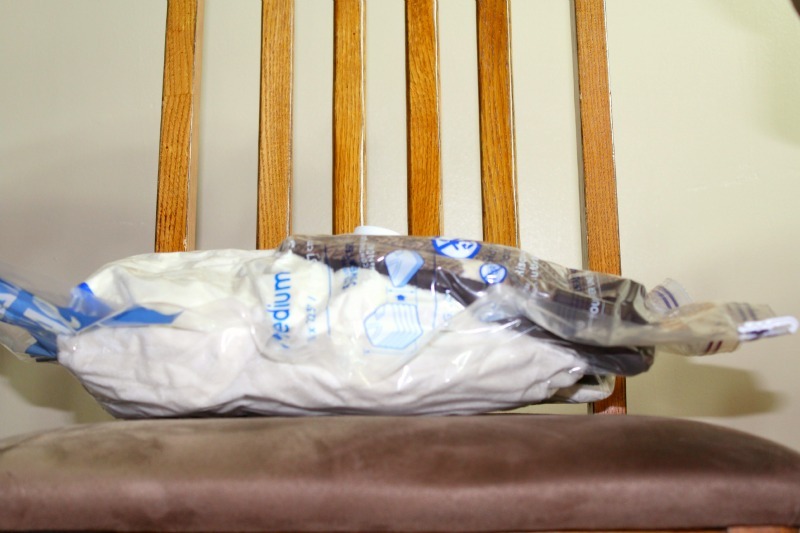 I filled a Ziploc® Space Bag® with a robe and slippers, then placed it on a chair for a picture. After snapping the first photo, I just grabbed the vacuum and sucked the excess air out. I then placed the ready to store Ziploc® Space Bag® in the same place and snapped another picture. I think the photos speak for themselves, but I am just going to tell you one more time that these things are amazing and I am saving more than three times the space. I couldn’t be happier with this product, and I suggest you pick up some for your guests linens to make the preparation for your house guests effortless. What items do you store for guests? I would love to hear your tips for making your house guests feel welcome. Be sure to click here for more space saving tips. Great tips! I have vaguely heard of the space bags before but have never seen them put into use. Now that I have a tiny home and too much stuff I may just have to try it! These bags are awesome! They save so much space! I need some for my own closets. I have so many bulky blankets that are constantly falling and getting in the way. We have been using those bags for the past 10 years. We use them for traveling. And we use them at home to store our clothes or for linens that we do not use very often. We love using those bags. I love how much space they save. I often use those bags to store out-of-season clothing for my kids. It is such a convenient way to keep stuff in storage! I need to head to Lowe's and get some of those bags. I don't think I've ever used them. 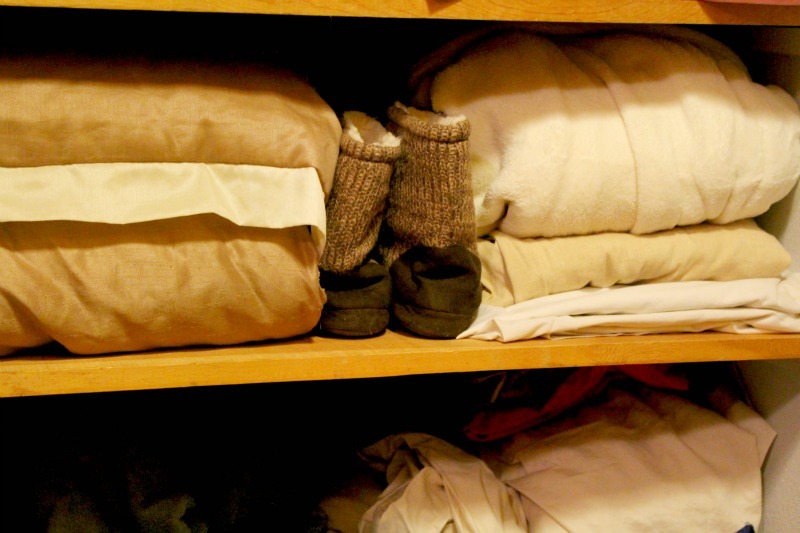 My linen closet needs to be cleaned out and I could save so much space with those bags. Those bags look very useful. I would love to have some of those I have never used them before, but they would come in handy in NYC. 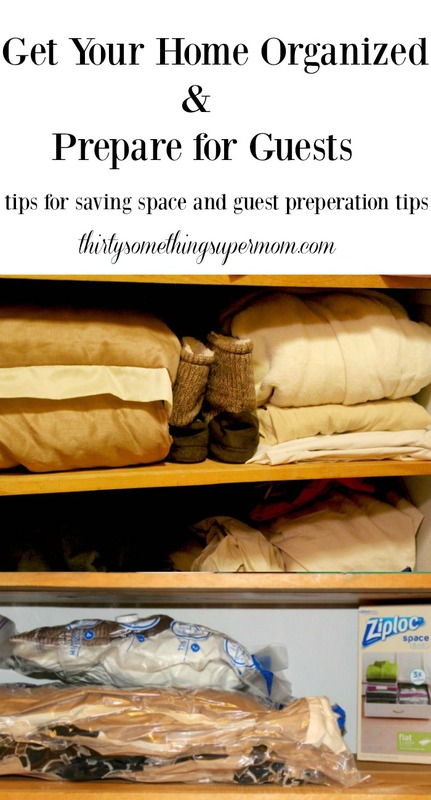 I needed these space saving tips! With 6 people in the house it seems like there is never enough! I am in desperate need of these right now! Thank you for reminding me that they exist - off to the store to grab a bundle or two! It is great to have the guest room always prepared. We have surprise guests in the past. I've always been curious about those space saving bags. So neat to see they actually do work! These are some really great tips! It is always a great idea to be prepared! We have some of those vacuum bags for our winter clothes. They are very good to have around! My other job is to be a professional organizer. It is hard but most of the time I just love these space saver bags. They are useful, come in A couple of different sizes and are durable. It does take a lot of preparation to have guests over night during the holidays. we had 8 overnight guest for Thanksgiving for 3 nights and I was beat afterwards!! I use this all the time and I love them! They give me all the space I need and they are so convenient and easy to use!